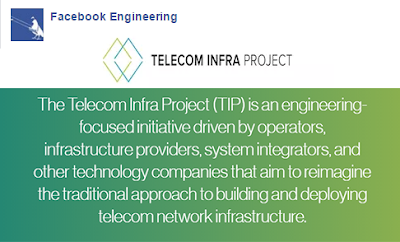 BT and Cavium announced they have joined the Telecom Infra Project (TIP) founded by companies including Facebook, Deutsche Telekom and SK Telecom in 2016, and Keysight Technologies announced that it is expanding its commitment to the project. 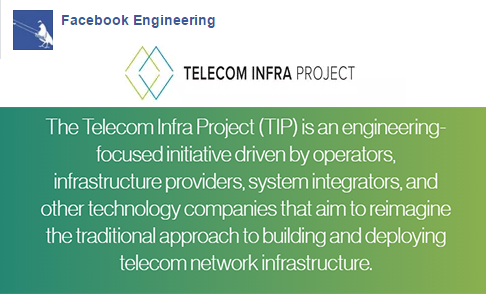 BT announced it is partnering with the TIP, which is seeking to transform how telecom networks are built, and Facebook to accelerate research into advanced telecoms technologies. As part of the initiative, BT, Facebook and TIP will work together in locations including BT Labs at Adastral Park in the UK and at London's Tech City. The relationship is intended to enable telecoms infrastructure start-ups to engage directly with experts from BT, the TIP community and Facebook. TIP plans to establish a network of start-up acceleration centres in collaboration with major operators worldwide, and BT will host the first such centre in Europe. The UK acceleration centre joins a similar facility in South Korea, sponsored by SK Telecom. The initial focus of the UK acceleration centre will be in the areas of quantum computing, as applied to networks, and mission-critical communications. Cavium, a provider of semiconductor products for enterprise, data centre and wired and wireless networking, has joined TIP as part of its ongoing effort to support the development of telecom networks. Cavium will contribute wireless access technologies to TIP's OpenCellular project group, which is aiming to address the demand for faster, more agile networks. Through the agreement, Cavium will specifically contribute and support the development of a production-ready hardware design for a single sector LTE 2T2R MIMO (64/128 user) for OpenCellular in the second half of 2017. The design will be based on its OCTEON Fusion CNF7130 baseband processor and will feature the associated end-to-end L1 to L3 software stack. Cavium will also offer open source access to certain APIs to enable enhanced capabilities for the LTE cell. Keysight, a supplier of electronic measurement solutions, is expanding its commitment to TIP, and as part of this partnership will co-chair a newly-formed sub-group focused on test automation within the OpenCellular project group. Keysight will contribute the open source code that supports automated testing for design verification and a low-cost manufacturing solution for OpenCellular base stations. TIP was co-founded in February 2016 by Facebook, Deutsche Telekom, SK Telecom, EE, Nokia and Intel and now claims over 450 member organisations. The project is an engineering-focused initiative supported by telecom operators, infrastructure providers, system integrators and other technology companies that is aiming to transform how telecoms network infrastructure is built and deployed.